Westcliffe and Silver Cliff have earned Colorado's first International Dark Sky Community designation from the International Dark-Sky Association. This means you can bask in the wonder of the night sky with minimal light pollution. Family oriented vacation activities: bike through historic towns, visit museums, hike, fish, watch wildlife, outdoor amphitheater with free movies and concerts, great rodeos and music events, and a visit to the alpaca farms will keep your family busy for a weekend or a week. 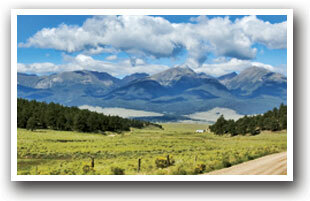 Today WESTCLIFFE is still a ranching community that welcomes vacationers to enjoy Colorado's outdoors and small town living. Local Artist's have numerous galleries and offer workshops on photography, painting and weaving throughout the summer. Westcliffe hosts several events including the Art for the Sangres Art Auction; the Sangre de Cristo Plein Air - Alla Prima, Art Hullabaloo; plus shows that feature weaving, quilting, knitting and pottery. Near SILVER CLIFF, COLORADO, silver ore was first discovered in the black-stained cliffs in 1878 by lumber men who wandered the hills. Some of these intriguing specimens contained silver. Black-stained cliff is along the north side of Chloride Gulch. Silver Cliff was once the 3rd largest city in Colorado in the late 1800s. ROSITA is sometimes thought of as a ghost town; however the folks living there would disagree (population 99). It is the smallest of the towns in this area. Cowboy movie buffs might know the area from the 1958 movie "Saddle the Winds" as it was filmed in Rosita. If you are ghost hunting, Colonel Graham was gunned down in the middle of Main Street, known as a claim jumper and criminal, he has been seen as a translucent figure wandering the street. HIKING TRAILS: There are Plently trails in the Sangre de Cristo Mountains and the San Isabel National Forest pick your adventure: The Rainbow Hiking Trail starts near Westcliffe and finishes in Salida, There are 3 shorter waterfall hikes, and for a summit climb take the South Colony Lakes Trail to Humboldt Peak at 14,065 feet. 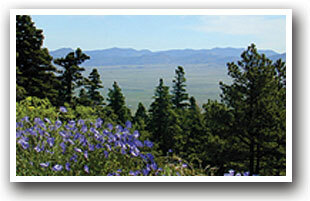 NATIONAL HISTORIC LANDMARK: The Spanish Peaks are in the San Isabel National Forest. The Ute Indians named them Huajatolla, meaning "Breasts of the Earth". It's a 90 minute drive to the scenic overlook at the junction of Highways 69 and 160. It's an additional 30 minutes to The Spring Creek Trailhead along Colorado Highway 12 in Cuchara, Colorado. The trail is marked for hikers, mountain bikers and ATVs; it is an out and back trail. Visit the beautifully preserved Beckwith Ranch, the Silver Cliff Museum of Mining and Fire House Memorabilia, and the All Aboard Westcliffe -- our Railroad Museum. Local mines can be seen and visited during tours. Historic structures abound throughout the area, and Historic and Ghost Walks are held throughout the year. In the winter, plan your vacation around snowmobiling, cross-country skiing or snowshoeing in the area. Monarch Ski Area is an hour's drive. 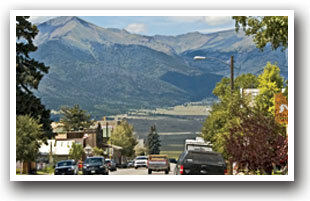 The Frontier Pathways Scenic and Historic Byway connects Rye, San Isabel, Westcliffe, Colorado City, and Pueblo through Colorado Highways 165 and 96. Be sure to stop and see The Colfax Colony Experiment 4.5 miles south on Colorado Highway 69. Carl Wulsten formed this German Colony bringing 100 families from Chicago in March 1871 by December the colony fell apart. The "Westcliffe" Schoolhouse, listed on the National Register of Historic Places, is located on 4th street, was dedicated on Christmas Eve 1891. No one knows why the school name, still visible above the door as "Westcliffe" spelled without the 'e'. Mingus Homestead, listed on the National Register of Historic Places, is on Forest Service Road 383 near mile marker 11, stay to the right when the road forks, about 1 mile off Highway 165. The town of Ula is nothing more than a cemetery and cabin you can see from Highway 69 near mile marker 63.2. Ula was the first settlement in the valley boasting a post office, general store and hotel. Just north of town is Lake DeWeese, in the bowl of the Wet Mountain Valley, which offers fishing and water sports. Grape Creek, which flows below the reservoir, has rainbow and brown trout. Lake Isabel, in the San Isabel National Forest, is ideal for picnicking, fishing and hiking. Lakes of the Clouds, at 11,200 feet, are accessible by four-wheel drive or hiking in 5 miles. The trip is worth it as the remote beaver ponds below the lakes have brook and cutthroat trout while the upper lake has rainbow trout. Silver Cliff is 56 miles west of Pueblo along Colorado Highway 69 E; travel an additional mile to Westcliffe; to reach Rosita from Westcliffe take Colorado Highway 69 South 3 miles to County Road 328 (Rosita Road) it's about a 15 minute drive. 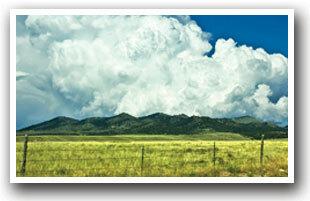 From Cañon City take Highway 50 East to Colorado Highway 69, it's an easy going drive of 50 minutes. Commercial air travel accommodations are handled by the Pueblo Municipal Airport. Please contact your preferred travel agent or airline for flight arrangements. Pueblo is 130 miles south of Denver International Airport. Stay in the picturesque Wet Mountain Valley. On the corner in Westcliffe. Golden Inn has rooms with full kitchens, bathrooms, air conditioning, dining space, good WI-FI. In-site oxygen bar in a tranquil setting.